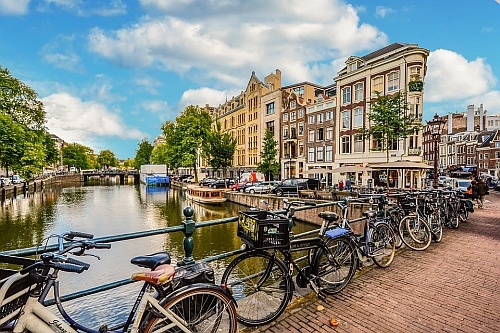 Delta is showing a couple of flights in the second half of August and into September from Seattle to Amsterdam, Netherlands for $488 CAD roundtrip including taxes. The flights are non-stop on the way there, with 1 stop on in Portland on the way home. 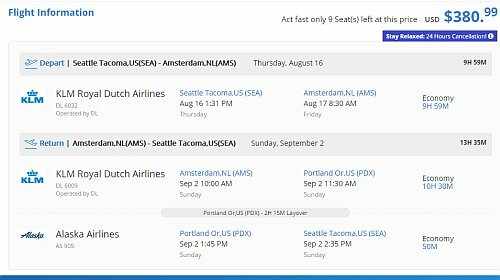 IMPORTANT: While Skyscanner is showing you the estimated price in $CAD, the booking sites showing these fares are in $USD.